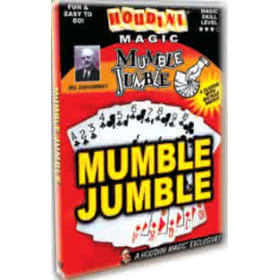 This is a fantastic kit if you want small, easy to carry, powerful magic that will leave your audiences speechless! Effect: The magician shows four cards of the same value, one for each suit (clubs, hearts, spades, and diamonds). One at a time each card turns face down showing each individually is a blue back. Then they turn red with black "X's" on them. The surprise finish is when all the cards change to mirrors. Effect: Only two cards are shown but the spectator guesses wrong every time! You always win. Effect: Nine cards are displayed... eight cards are the same and one is different, the "Wild Card." Four of the cards are dealt face-down and matching four dealt face up. leaving one card left. This is the "Wild Card". 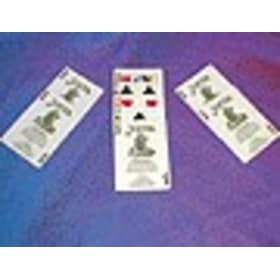 One by one the cards change into the "Wild Card"
Las Vegas Monte: A 3 card monte routine that comes with three specially printed Bicycle cards. This is a great effect to tell a story with, or just win some money off your buddies! You show three cards; one with a blue spot and two with a red spot. Explain that this is a game for gambling, and whoever finds the blue spot wins a dollar, but if that person is wrong, he must forfeit a dollar. 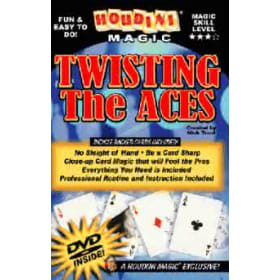 Then you explain that you were once taken by this game, and show how you were taken, losing three dollars because every time you thought you picked the blue card, it was red. So, as anyone would, you accused the man of not even having a blue card. He showed the bottom card as blue, so you lost another dollar! So, you said that if it was the card on the bottom, it couldn't be the one on top, but again, you lost another dollar! It is then showed as the center card as well, and by then, there have been six dollars lost. So, as anyone would once again, you said that you thought he was using more than three cards, but were proven wrong and lost another dollar. So, the gambler gave you another chance, double or nothing. He showed you that one card was red, another as blue, and all you had to do was name the color of the third card. Red, right? Wrong again! It's not red, nor is it anything anyone would expect! 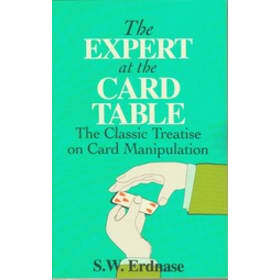 Card Control: Recognized as one of the greatest books ever written on the subject of card magic. Practical methods and forty original card experiments. 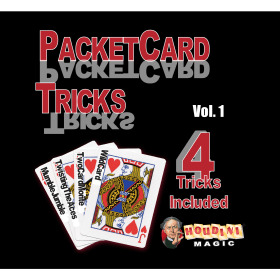 If you haven't met Arthur Buckley personally, you have missed knowing one of the finest performers in the field of Magic. 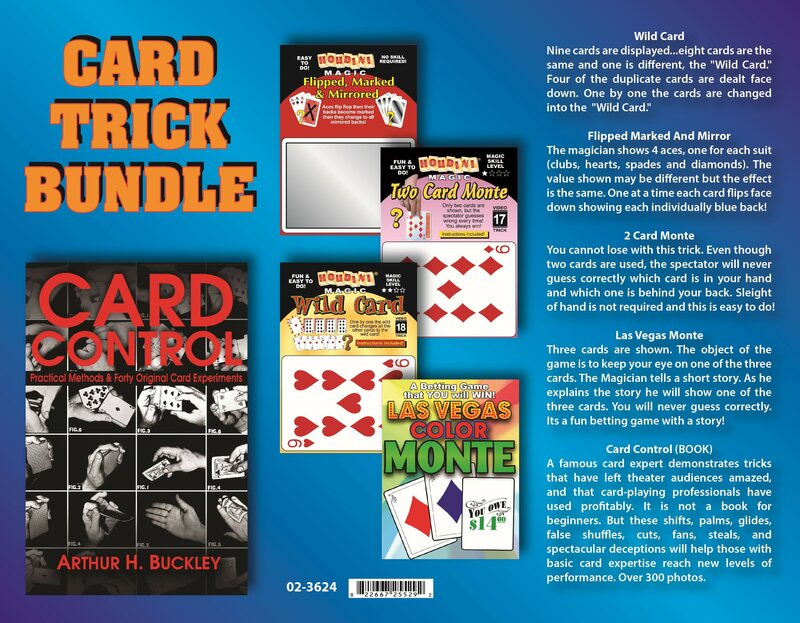 Arthur Buckley is the logical man to write a book on Card Control", for not only does he present his methods and original sleights, but many practical sleights which he gathered from the top magicians of the world. 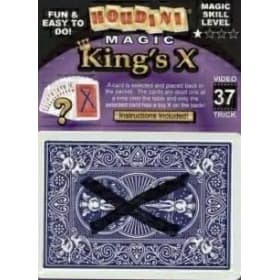 His inventive knowledge has enabled him to develop and present practical card sleights and magical effects to an unusual degree of perfection, many of which have stood the test of the stage, club, and close-up. The book is truly a postgraduate course on card handling and is amply illustrated with photographs of the author's hands in action.